Use Color Pickers for Sketch, Photoshop, Chrome with Vue.js 2.0. 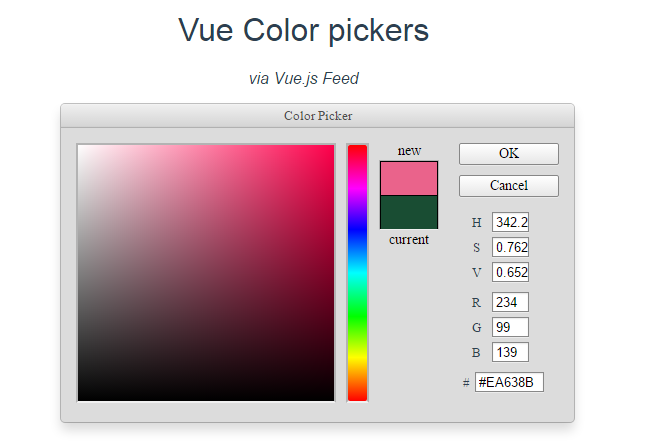 - Vue.js Feed Use Color Pickers for Sketch, Photoshop, Chrome with Vue.js 2.0. 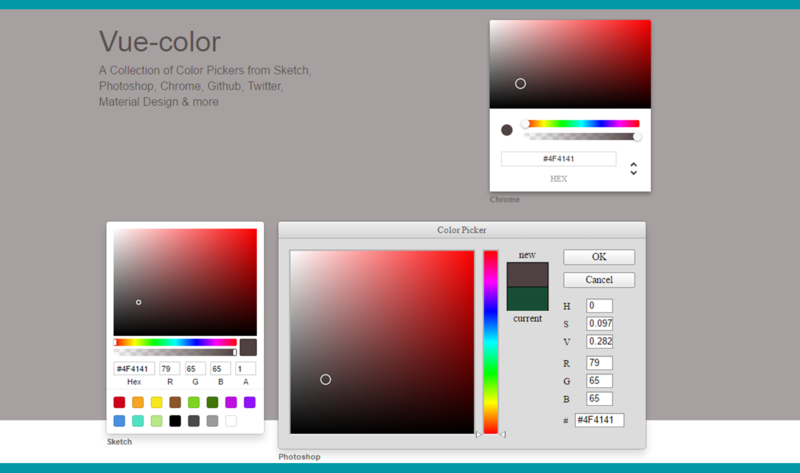 Use Color Pickers for Sketch, Photoshop, Chrome with Vue.js 2.0. Check the repo on GitHub.